Cambridge University Lawn Tennis Club was founded in 1881 and is one of the most ancient lawn tennis clubs in the world. The Club acts as the lawn tennis association of the whole of the University of Cambridge, representing the University as a whole, the thirty-one Colleges, and the other institutions which are part of the University. It is directly affiliated to the Lawn Tennis Association of Great Britain and is represented on the Council and the Board of the Association by Anthony Lemons, former Director of Physical Education. The present Chairman of the Club, Sir Geoffrey Cass, was President of the Lawn Tennis Association and Chairman of the L.T.A. Council 1997-1999. The annual fixture list includes matches against counties, as well as against the All England Club, the International Club, The Queen's Club, and Ealing, Roehampton, Hurlingham and Cumberland lawn tennis clubs as well as other UK university and community clubs. Over 80% of the Club's annual fixtures are home matches, which means that in a typical year about 40 tennis teams from all over Britain are entertained for a day in Cambridge in Fenner's. The Club is based at Fenner's. 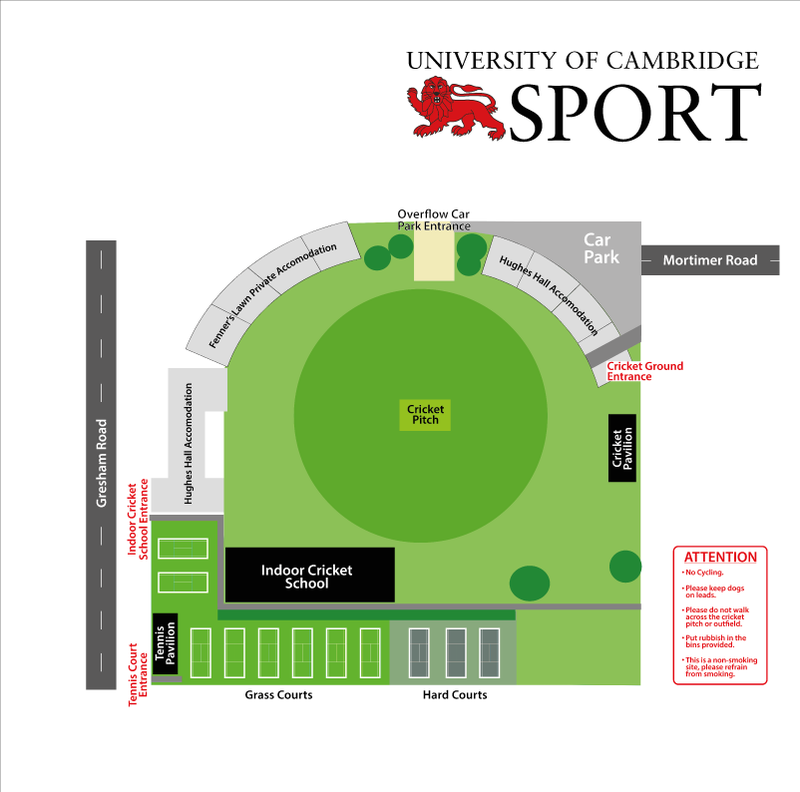 The ground is maintained by the Sports Service but membership can be obtained through the University Lawn Tennis Club. The ground has three outdoor hard courts and six grass courts. For more information on how to join, please visit the University Lawn Tennis Website.